A modern, mobile experience for IT staffing companies to onboard, train, practice, update and coach. Staffing leaders can finally measure the impact their training and new hire onboarding programs have on performance. We understand salespeople because we are salespeople. Salespeople and recruiters are naturally competitive, it’s woven into their DNA. 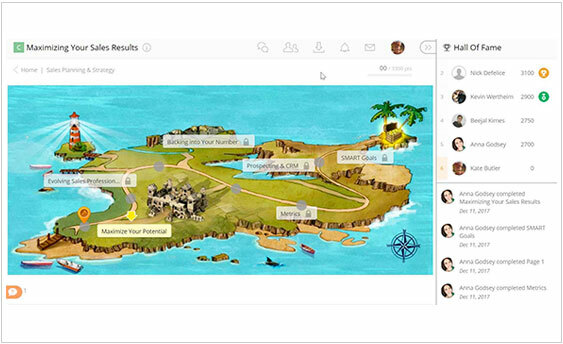 Learners of our gamified training platform are able to connect their intrinsic motivation to training goals and business objectives. Not only does it make learning more exciting, but it brings out the best in your employees to compete for recognition among their peers. Microlearning is a way of offering training in the form of small, manageable bite-sized pieces. By incorporating microlearning into our training we’re able to increase and accelerate retention which accelerates new hire time to productivity. By making our quick bite size (3-5 minute) training modules available via our mobile application, learners can prepare wherever, whenever, and however they work -ensuring they’re “conversation ready” for any situation. The Menemsha Group training platform gives IT staffing firms the most effective way for certifying their reps and recruiters are “conversation ready,” consistent and on point. Practice, Rehearse & Certify: Sales reps and recruiters can participate in our video role play missions in which they’re tasked with executing dozens of everyday, real world IT staffing sales/recruiting scenarios. 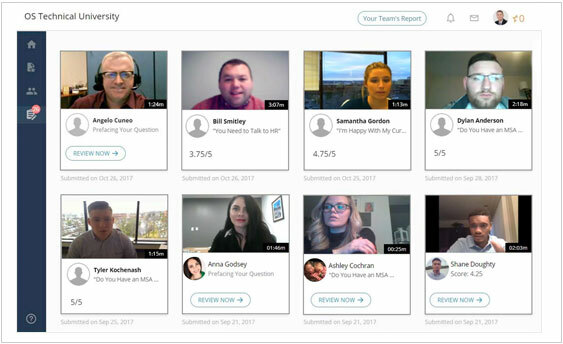 Learners audio and video record themselves executing a customer and candidate conversations to demonstrate they can apply skills and knowledge they learned. Reinforce Skill Mastery: Managers and subject matter experts including Menemsha Group provide quantitative and qualitative feedback to reinforce and drive adoption of what has been taught ensuring skills mastery and training ROI. Our platform tracks and measures onboarding and training effectiveness equipping managers with data driven insights to reduce new hire washout rates, accelerate time to productivity and increase employee retention. 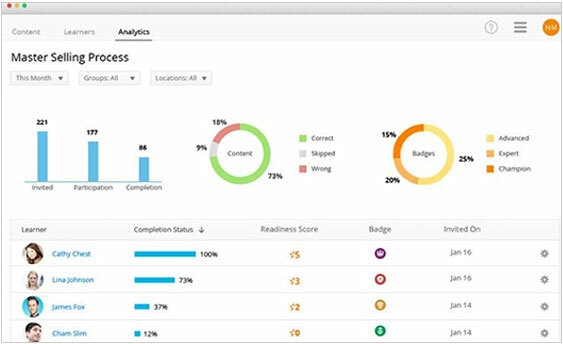 By accessing a learners report card from quizzes and submitted role play missions, manager’s eliminate the guesswork and can see which new hires are likely succeed or fail in as little as 15 days. Tribal knowledge refers to employees leveraging the collective wisdom that exists within an organization to accelerate the learning process. With our technology platform IT staffing firms can crowdsource the desired recruiting & sales behaviors displayed by top performers, managers and experts and make it available for all employees to watch and listen to in order to accelerate the learning process.